How should a house be? There's no right or wrong answer to this question. Each house should reflect its owner's personality, be an extension of its taste and life. This is a particularly trick issue for contemporary housing, which more than customizable, often falls flat, feeling too generic and stardardized. 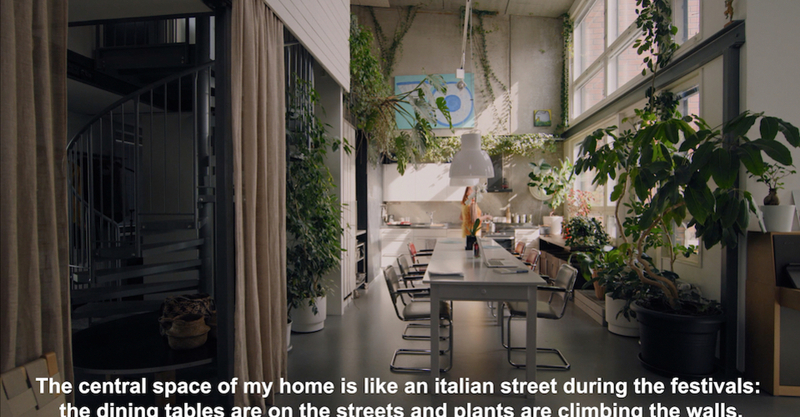 This is also true in Finland, say designers at Talli Architecture and Design, as the housing landscape in Finland has remained rather pretty much traditional, often failing in allowing self-fulfilment of the residents' needs. Different lifestyle and family models try to be served by standardized housing design despite the needs of society continuing to change. This happens in a moment where there is an increasing desire for urban living, that grows along with a need for individuality, flexibility, and strong sense of community. This is why they designed the Tila project, a block of 39 flats built in Helsinki 2008, based on the idea of providing residents with a living space equipped with only the absolute minimum. The raw-space housing concept allows housing to be customized according to the buyers specific needs and wants. The project was realized in two stages. The frame construction was first designed and built by the developer, then came the infill phase with habitants building their homes as Do-It-Yourself –projects. The video shows different possible accomodations, a family, an elderly couple with no children, a woman living on her own, an adopted child: everyone tells his or her story and describes how the openess of the spaces enabled them to transform their houses into their homes. In each situation, the basic structure of the house is the same: the rooms are on the upper level, the kitchen and living room on the main floor, but each house has a different vibe, a different atmosphere, which is conveyed through both a voice-over commentary and the depiction of a day in a life of each component of these families. A fresh, cool video, that matches exactly the kind of work produced by Talli Architecture and Design.